A bit of pink and blue-violet highlight this piece created by our lead designers for your delight. The perfect setting is at tea time or for a birthday gift! 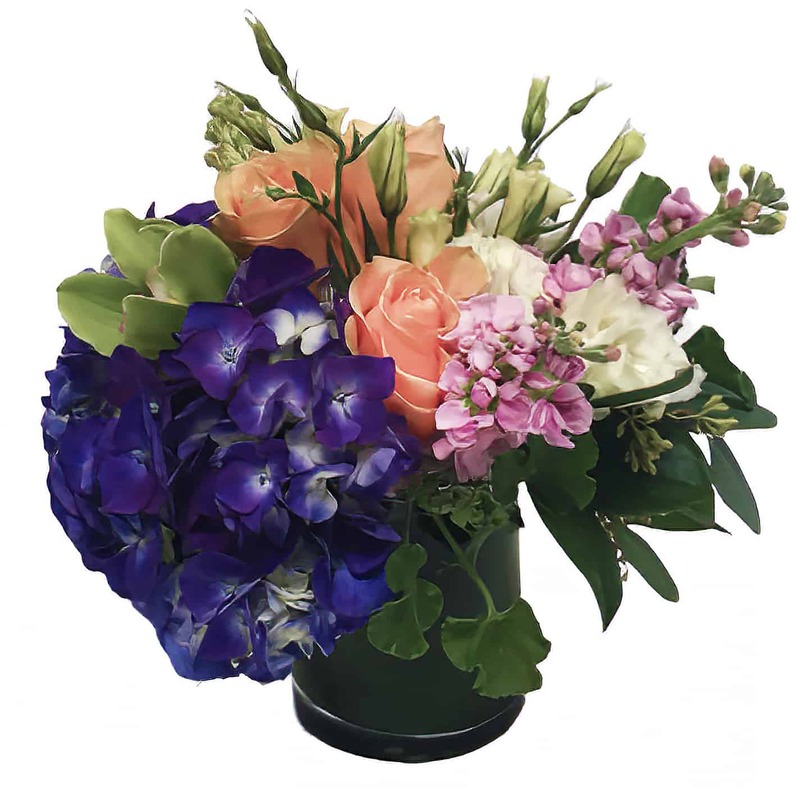 Featuring Roses, Hydrangea, Cymbidium Orchid and Sweet Peas in a heavy vase with a ti leaf. Add a little sweetness to your next tea party or special occasion without the calories!